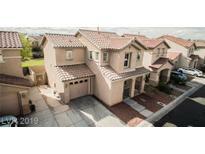 Below you can view all the homes for sale in the Villas At Tropicana subdivision located in Las Vegas Nevada. 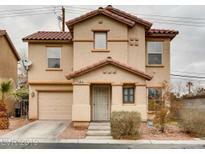 Listings in Villas At Tropicana are updated daily from data we receive from the Las Vegas multiple listing service. To learn more about any of these homes or to receive custom notifications when a new property is listed for sale in Villas At Tropicana, give us a call at 702-323-5986. 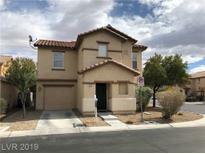 Backyard with patio and easy to maintain desert landscaping Super clean and move in ready. Come take a look today! MLS#2084977. Maxim Properties. Fantastic, Immaculate, Turn Key, Open, Spacious Floorplan*Beautiful Wainscoting in the Kitchen with Custom Backsplash, Corian Countertops, Upgraded Cabinets with Newer Stainless Steel Appliances & Kitchen Pantry*Crown Molding*2 Tone Paint*Ceramic & Laminate Wood Flooring on the Main Floor*Ceiling Fans*Upstairs Laundry Room* Large Loft with 3 Bedrooms Upstairs* Oversized Corner Lot w/Private Backyard*1 Car Garage w/a long driveway* A Must see! ! MLS#2076717. BHHS Nevada Properties. Three bedrooms upstairs with a loft...possible 4th.bedroom.Well maintained house with a lot of potentials. MLS#2073279. Aztech Realty Inv & Prop Mgt. The flooring is beautiful throughout. Must see! MLS#2072607. Realty ONE Group, Inc.